Roof leaks can stem from many problems, ranging from mother nature, to faulty materials. If you begin to experience a roof leak you should seek the root cause as soon as possible. Identifying the cause of a roof leak will allow you to speak knowledgeably about the problem with a qualified roof contractor, likely saving you money in the repair process. Use these tips to find the issue before contacting a roof repair company. A leaky roof can cause serious damage to a home's interior and, more dangerously, its structural integrity. If you suspect a roof leak quickly work to find the cause then call a local roofer to have the issue resolved. Check for roof damage directly above the suspected leak area. Evidence of a leak could include a drip or staining in the ceiling. This tactic is easier with a flat roof, as a sloped roof can often be misleading about the leak location. If you have an attic grab a flashlight and check for black marks, mold or most commonly water stains. Each of these are common evidence of an apparent leak. Look for missing or damaged shingles near the suspected leak area. Be sure to look for exposed roofing tacks as well. If shingles easily come off the roof, or if they break or crumble with light handling then it may be necessary to replace your roof. Look at the areas near penetrations, such as chimneys, vents or pipes. These areas more commonly sustain damage and may unfortunately require expensive repairs. Once you are able to identify the roof leak call a professional roofing company to have the problem repaired. If you are unable to find the cause of a roof leak but still believe there is an issue, don�t delay in calling the roofing company to have a professional double check to make sure there is no problem. 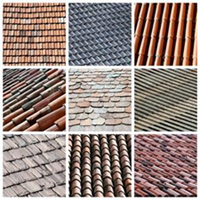 ProTech Roofing is your expert roofer in Centerville, Utah. Servicing residents of Utah and southern Idaho, the friendly staff at ProTech will be able to identify and fix any roof issue you have, install a new roof or conduct regular roof maintenance. Give them a call today at (801) 691-7720 to set up an appointment or request a quote!